Hooray! Our new online courses are now open! Join us Thursday, March 21st at 6:30! 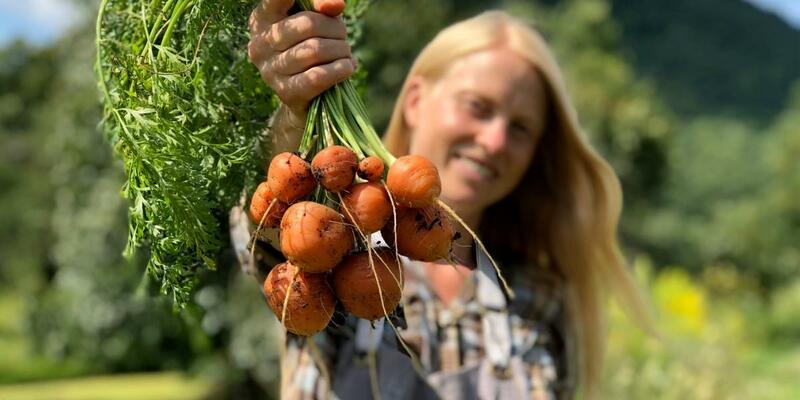 I'll be sharing the keys you need to successfully sprout your ginger and set yourself up for growing gorgeous abundance this season, from beginning to end. Register here to reserve your seat! Yes, You Can Grow Your Own Ginger! Friends, we're constantly experimenting, pushing the envelope of what can be grown here in our short seasons. Peanuts? With the right seeds, easy. Sesame. Super easy. Chia? A remarkable plant, though (sigh) she will never flower for us here, our days are too long. 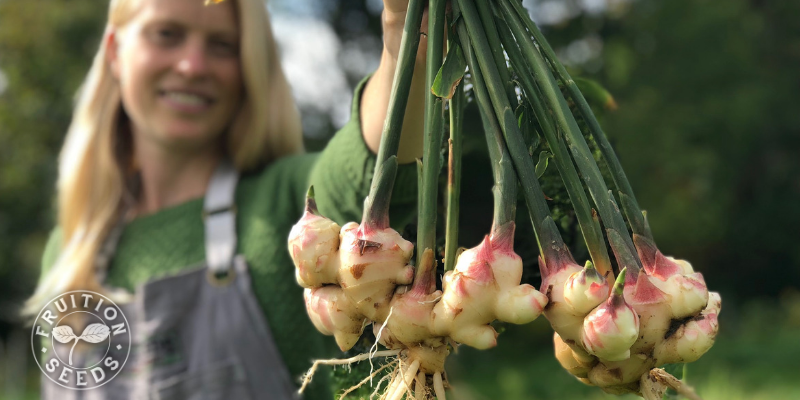 We're ecstatic to announce we've added ginger to the lengthy list of unexpected plants you can grow in the Northeast, even in a container, right in your backyard! First, a soon-to-be not-so-secret for you! Friends, sowing well-adapted varieties makes organic gardening SO much easier. In any size garden, on any scale farm. 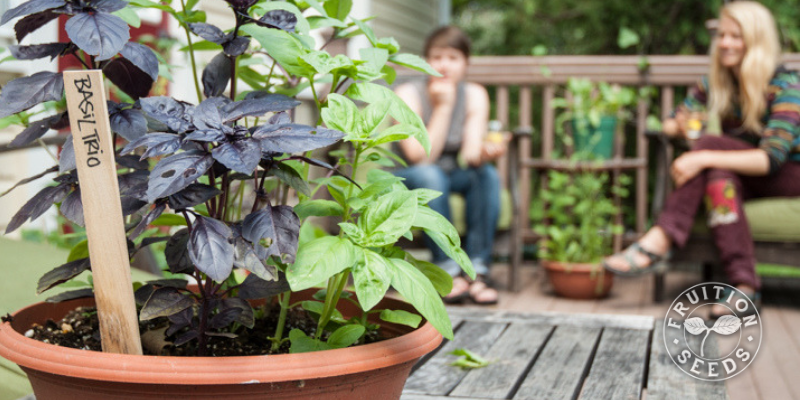 What makes a variety well-suited for container gardening? How much space does this variety take up? Some varieties are more compact than others, making them more optimal for container gardening. Will this variety thrive with less than optimal nutrients and less even watering? Both are realities of most container gardens, so starting with resilient seeds makes all the difference. 1. You can grow glorious ginger in the Northeast without a high tunnel. It's true: you can grow gorgeous ginger right in your backyard. Fresh Ginger Harvest & Tastings! Come taste Fruition's organic ginger and turmeric, freshly dug from our gardens! Did you know?! We can easily grow ginger here in the Northeast, even without greenhouses or high tunnels, right in our backyards. If you've never tasted fresh ginger before, it's unlike anything you've ever tasted before --- sweet and gingery, without any of the heat, melting in your mouth in a most remarkable way. In addition to tastings, we'll have it for sale so you can stock up for winter, and stay tuned: We'll be sharing it for you to plant next season, YAY! happy coming to fruition day! See You at the Flower Show! Join our Fruition Family for timely tips, video tutorials & seasonal specials to surround you with beauty and abundance all season long!